I hope you are doing fine Doctor. My name is S. I found your website less than 2 weeks ago and I’m your YouTube Viewer as well. MARGINS OF EXCISION ARE FREE OF TUMOUR. CLOSEST DEEP MARGIN OF EXCISION IS ABOUT 3.0 MM AWAY FROM THE TUMOUR. NO LYMPHATIC TUMOUR EMBOLI AREE SEEN. SCANTY SMEAR SHOWS LOOSE AGGREGATES AND SINGLY DISPERSED MALIGNANT DUCTAL CELLS IN A BACKGROUND OF BLOOD DISPLAYING ENLARGE HYPERCHROMATIC PLEOMORPHIC NUCLEI. As advised by the General Surgeon, my mother is going to have axillary lymph node dissection next week on Wednesday to find out the stage and to see if the cancer has spread. Doctor, what do you think of Dendritic Cell Therapy to replace radiation therapy? Will this therapy kill all the cancer cells? Is it better or as good as radiation therapy? We would really love to see you for consultation Doctor, when will be the best time for us to start consulting with you? I mean right after my mom recover from her axillary lymph node dissection or before she starts radiation therapy? Thank you very much for your time to read and reply this email Doctor Chris. We really appreciate it and looking forward to hear from you and see you in person. May God bless you and your wife for helping people who are in need. Reply: Where are you from? Come and see me with all the reports …and go to my website www.cancercacermalaysia.com and read the book Cancer What Now before you start to do anything. I dont think you need to do the axillary clearance either. Come and see me first. Chris. I am so happy to have received reply from you. I am from Kuala Lumpur. 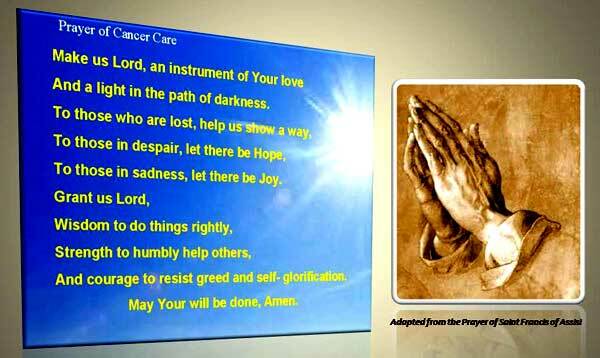 Doctor, I am so nervous, because this coming Wednesday is my mother’s axillary lymph nodes surgery to see whether the cancer has spread or not even though her margins are clear as it is written on the report and to determine her cancer stage as well. I really don’t know what I should do to cancel the surgery, I mean if I tell my mother that Dr. Chris Teo replied me and said that the surgery is not needed, she will be so nervous because we r planning to see you, we just don’t know when, that was why I emailed you Doctor. Doctor please kindly advise us, I mean may I know why you don’t think axillary lymph nodes surgery is needed? Thank you so very much for your time to read and reply us who are in despair. God bless you Doctor Teo. S.
DOCTOR YOU SHOULD SEE MY FACE WHEN I RECEIVED PROMPT REPLY FROM YOU….U DONT KNOW HOW I APPRECIATE YOUR KINDNESS DOCTOR! I am very close to my mother. My father has passed away 13 years ago. I am her first and only daughter. I have one younger brother and he is a very sensitive person, so he actually didn’t know that my mom has breast cancer. We only told him that the lump is still being investigated. To have found your website is a blessing to us and now to have gotten response and explanations from you, we are more blessed. We really don’t know who to run to and then we found you Dr. Chris. Once my mother recovers from Axillary lymph nodes dissection and able to travel, we surely want to fly to Penang to see you, being healed and enlightened by you. Reply: Removing the lymph node is NOT a cure. It is just to tell you what stage it is. Okay, go and do it if you want to do chemo or radiation after that. If you don’t want to do all these, no use to remove the lymph node. Suddenly I feel like there is a light at the end of a tunnel……after I “heard” from you. Doctor Chris……I’m in tears as I am typing this……I feel like I am not alone anymore. Thank you so much from the bottom of my heart …..I will call Puan Khadijah next week. Such a blessed Sunday after a long roller coaster ride, sleepless nights and in tears for weeks…… Dr. Chris, they don’t make Doctors like you anymore nowadays….. Hopeful daughter, S.
My name is O, I am from Indonesia. I am a lecturer at Singapore. My mother is now under very critical condition. She had breast cancer and carried out surgery and had several chemotherapy. She is having a very painful on her back and cannot move her legs, thus she can only lay down on bed. Now she refused to take any medication. I have read your website regarding the CA Care. And I am thinking whether you can help my mother, however she is not able to fly to Malaysia due to her condition. Kindly advise how to seek your help in this case. I am waiting your reply. Best regards.